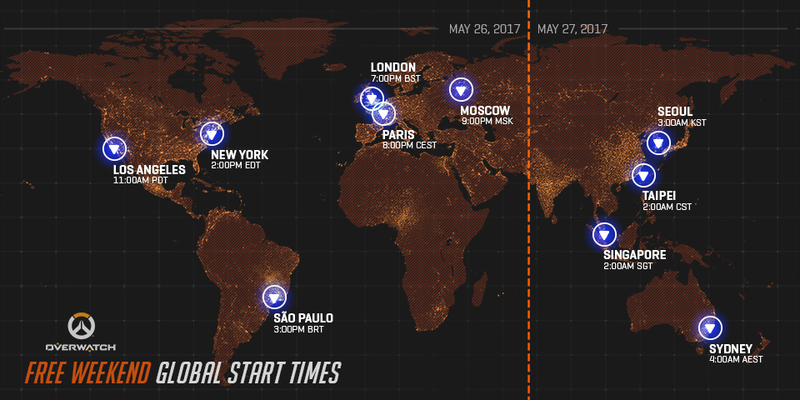 The free period will begin on May 26 at 11 a.m. PT and end on May 29 at 11:59 p.m. PT in all participating regions across all platforms. If you’d like to see when the weekend will go live in your region, check out the reference guides below. For additional time zone assistance, please visit timezoneconverter.com.